The Coder-Maker aims to enable students to learn to code and program objects around them. 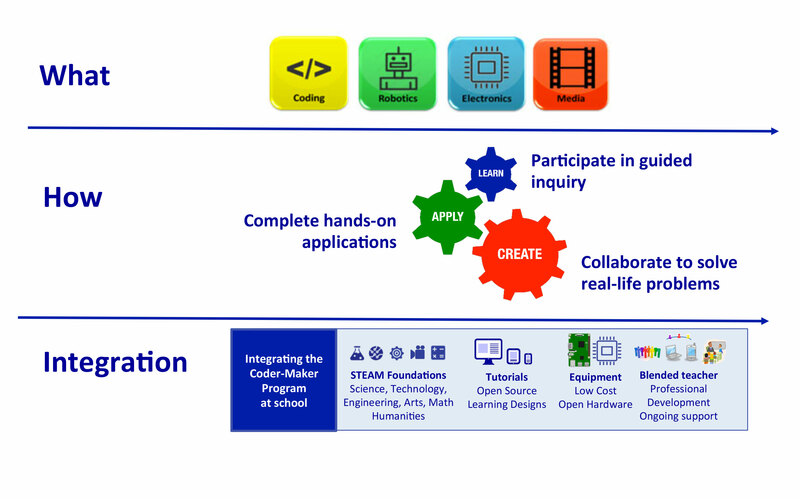 The program provides foundations in programming, designing, making, assembling and programming in real life STEAM (Science, Technology, Engineering, Arts and Math) applications and understanding of open architecture hardware. 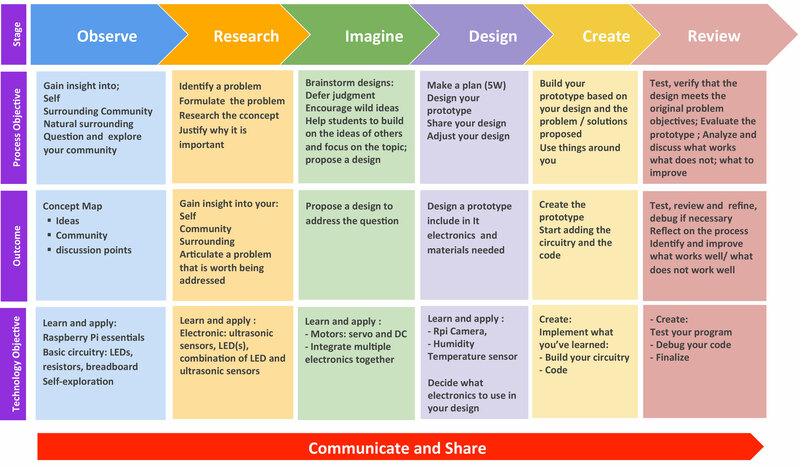 It follows an inter-disciplinary approach and is a more connected way of learning, connecting pedagogy and technology mindfully with things around them as well connecting with their peers and with the world. 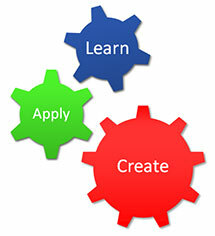 Coding: Students learn about computer science by utilizing different platforms from visual programming to more comprehensive languages. 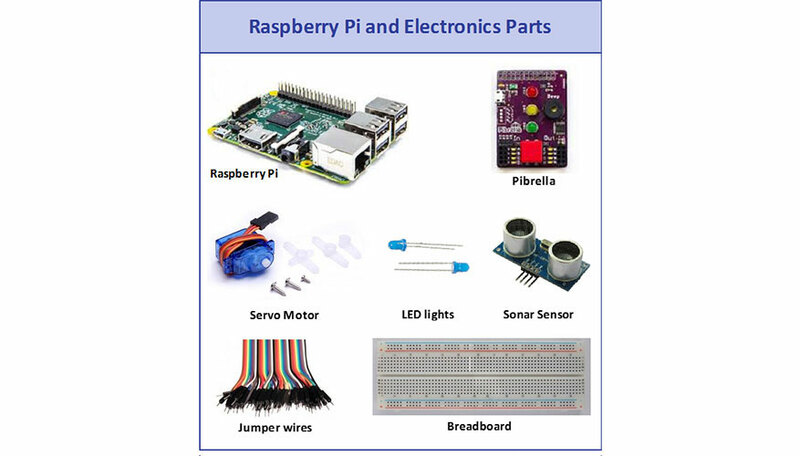 Electronics: Students learn basic electrical engineering skills and build electronic devices within a hands-on approach. Robotics: Students learn mechanical engineering skills and coding by designing, assembling and programming robots using ready-made or self-created parts. Media: Students learn the basics of multimedia production: video, sound, music, photography and how to safely publish their outcomes on the Web. 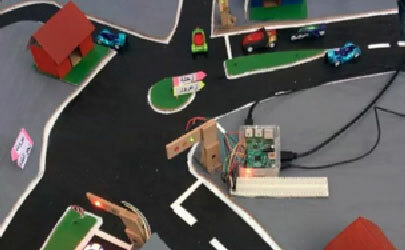 With the support of their school, community and municipality, Dhour Shweir public school students designed, fabricated and installed traffic lights running on Raspberry Pi 2 coded with Python to solve a traffic problem in their village It was made possible with funding from GWTN (Global Women Technology Network) by way of Mrs. Candace Johnson and the contribution of her EDHEC students, class of 2013-14 who funded 20 Raspberry Pi.